Do you want to rank on page one of Google? Do you want to connect with new potential customers? Do you want to grow your business through Internet marketing? SEO is no longer an option, it’s a necessity for business growth. You might have the best products and services, but if your potential customers can’t find you, they’ll find your competitors. Ranking on the first page of Google and other major search engines, including Yahoo!, Bing, and MSN will increase your profits and enhance your brand’s reputation. Why Numero Uno is your Best Choice for SEO? We understand the requirements of your web site and create effective SEO strategies to drive more traffic to it. With the help of the latest SEO tools and technology, our experts build a robust online presence for your business so that your potential customers can easily find you. Our SEO techniques are aimed at driving traffic to your web site by achieving page one rankings in search engines for competitive keywords. The SEO experts at Numero Uno look into every aspect of your web site and optimize it to generate the best results. We use only ethical, white hat SEO techniques to get top rankings for your web site. We continuously analyze and update our strategies to stay ahead of Google updates, such as Panda, Penguin, and Hummingbird. We offer result-oriented, long-term SEO solutions to our clients to ensure they consistently get higher volumes of traffic and business. We ensure your web site reflects your brand image and communicates the right message to the users. We leverage popular social media channels such as Facebook and Twitter to generate the buzz about your brand. 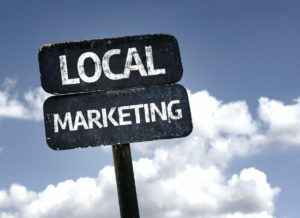 Local SEO optimization focuses specifically on prospective customers that are within close proximity to your business. 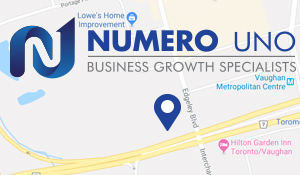 At Numero Uno, we will help you take advantage of local search inquiries so that the search engine your customers are using will automatically display results for your businesses if it’s within the closest proximity to their current location. Mobile-first indexing is Google’s solution to the growing demand for more mobile-friendly web sites. Our SEO experts are fully prepared to optimize your web site and make the necessary changes to make it more mobile-friendly. At Numero Uno Web Solutions, we can help you identify which portions of your web site need updating and revisions to meet voice search standards and help you gain better visibility on search engine results pages more organically. We’ll show you how personal assistants work in tandem with local SEO, voice search, and mobile-first indexing to optimize search results and match customers with the ideal products, services, or answers that suit their needs. At Numero Uno, we’ll show you how schema markups can be instrumental to improving overall click-through rates because they crawl your entire web site and display only the most pertinent information based on the user’s search inquiry, making your web site much easier to navigate. As a leading SEO company in Canada and the United States, we have extensive experience in working with a wide range of e-commerce platforms such as Shopify and Magento that can help maximize your online sales and improve your overall operations. Our experts will analyze your web site to know its strengths and areas of improvement. 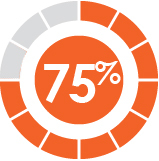 We will do a comprehensive audit of your web site and prepare a pre SEO report that will outline its current standing. Our SEO experts will research and analyze the most relevant keywords for your web site and identify opportunities where your site can get high rankings. Through effective on-page optimization, we will ensure that your web site is not only Google-friendly, but user-friendly as well. The experts at Numero Uno will employ effective off-page strategies, including link building, social media marketing, and social bookmarking to improve the ranking of your web site. We will take a closer look at the technical aspects of your web site and provide effective solutions to improve them. We will consistently develop and optimize high-quality content to build a robust online presence for your brand. We have satisfied clients all over the GTA, including Toronto, Markham, Brampton, Mississauga, Vaughan, Georgina, Milton, Clarington, Halton Hills, King, and East Gwillimbury. What makes your search engine optimization services different? Instead of looking at all optimization projects the same, we have made it our goal to evolve as search engines do. Our SEO services use the latest, most sophisticated techniques based on industry-accepted standards and a strict ethics code. Why do I need SEO for my business? Why do search engine rankings change frequently? 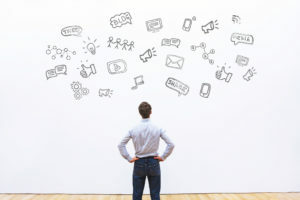 Although these changes can be frustrating to a web site owner or business, they can work to your advantage if you stay up to speed on search engine expectations. Working with a professional SEO agency can serve as a huge benefit if this task is too much to manage. Keywords are absolutely vital to the success of your web site and are necessary to bring web traffic to your business for free. Consider taking time to find target words that apply to your web pages, as it is worth the investment of time. Each page of your site should have relevant words that are associated with popular search terms. This can boost your ranking and help get your target audience directed to your posts. Google algorithms are complex systems that are used to gain data from search indexes and provide the best results for a search. Over the past few years, Google has been making thousands of changes to its algorithm that strongly impact Search Engine Results Pages (SERPs). Every time Google makes an update, you need to check your web site pages to ensure they are conforming to the new rules Google has made. If you don’t, your site could lose ranking spots or be penalized for not meeting new requirements. What is the difference between on-page and off-page SEO? To keep it simple, on-page SEO focuses on what your site or page is about, while off-page SEO focuses on how popular or authoritative your site is. Why is link building important? Local search is defined as the use of a geographic tag (state, zip code, city, etc.) as part of the search phrase term. It is an effective way for search engines to deliver results that are relevant within a specific location. Some examples of local search terms include: “Italian bakery Toronto,” or “Ontario office furniture.” If you are a business with a physical location, you can derive amazing benefits from optimizing your online presence to include local search terms. 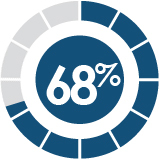 It works to draw your most likely prospects to your store. What is Google My Business? What is a mobile-first index? A mobile-first index observes the mobile version of your web site and tests its ranking signals. If there is no mobile version, it falls back on the desktop version. The reason for this development is that Google’s index is primarily desktop, but since so many users browse the Internet using their mobile devices, Google is seeking ways to look at the content, links, and structured data of the mobile version of your site first (if one is available.) This would make Google’s search results more useful and would make a better search experience for all users regardless of the device they use to browse the web. What is AMP and should why your web site have this? Accelerated Mobile Pages (AMP) is an open source program from Google that aims to make the Internet work faster and better on mobile devices. You should make sure your web site has AMP because it increases the loading speed of your pages, which attracts customers, and keeps them coming back to you for what they need. It also boosts your search engine ranking, increases your online visibility, and includes ad support. Voice search is a speech recognition software that allows users to make searches using their voice. Voice search can also initiate actions such as making phone calls or voice-typing text messages. How do I optimize a web site for voice search? Have I claimed a Google My Business listing? Can I respond to conversational keywords? Does my site have informative FAQ pages? Why is SSL required for any website? A Secure Sockets Layer (SSL) is a standard security measure for web sites. It protects yours and your customers’ sensitive information as it travels across the Internet. It is essential for protecting your web site, even if your site does not handle sensitive information like banking numbers. It provides added privacy and establishes data integrity for any information stored on your site. Your site must use SSL because it provides authentication and trust and is necessary for Payment Card Industry (PCI) compliance.